Many here in Vermont — whether you have a small property or acres of land — find joy in growing their own vegetables. This could mean setting up large pots with tomatoes on a porch in Burlington or building large raised beds in your backyard. With many of us trying to grow organically or as naturally as possible, one of the easiest ways to prevent harmful bugs and diseases in your vegetable garden — while also helping to attract pollinators — is to plant a variety of specific plants around your vegetables that help attract beneficial bugs to your garden. What Is A Beneficial Bug? First, let’s talk about what beneficial bugs are and what they do to help out your vegetable garden. Beneficial bugs are a variety of different species that help eliminate and control pests that can damage your garden and lawn. By attracting beneficial insects to your garden with certain plants, you can eliminate the use of insecticides and other toxic chemicals that not only wipe out these pests, but also the good bugs that you want in your garden. 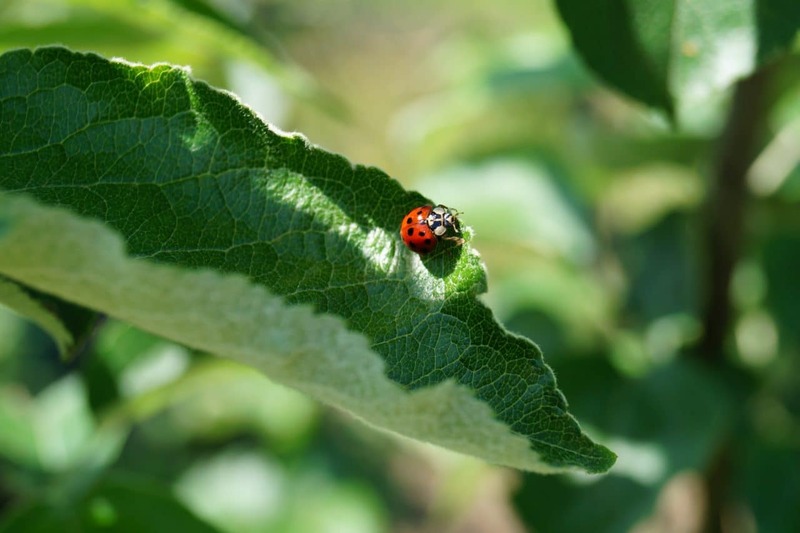 Ladybugs help by eliminating aphids, whiteflies, and potato beetles in your garden. You can attract them with Dill, Yarrow, Coriander, and even Dandelions! Ground Beetles help by eliminating slugs, potato beetles, and cutworms from the garden. You can attract them with Primrose, Amaranth, and Clover. Aphid Midges are a big help in controlling the aphid population in your garden. Any nectar-rich plant (like Dill, Fennel, Milkweed, and Zinnias) will help attract these beneficial bugs to your garden. Green Lacewings prey on aphids, whiteflies, leafhoppers, and mealybugs. You can attract green Lacewings to your garden by planting Dill or Coriander. Attracting bees to the garden to pollinate your plants. 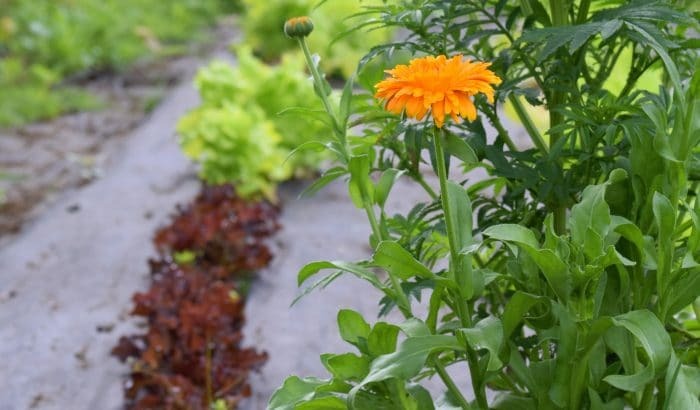 Marigolds have been shown to repel nematodes, slugs, tomato horn worms, and other garden pests from your Tomatoes and other plants. They are low maintenance and don’t require any special attention or extra watering. They are gorgeous! They add a nice pop of fiery color to the garden all season long and look great amongst your veggie plants. As gardeners, we’re always looking for a way to grow smarter with less effort, cost, and negative impact on the environment. 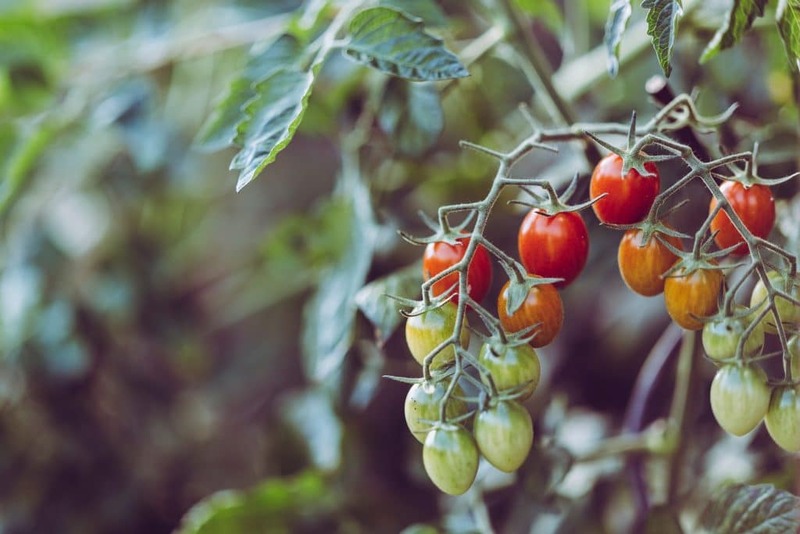 By adding a few specific (and cheap) plants around your vegetable garden in the spring or early summer, you’ll enjoy a pest-free, colorful garden all season long.